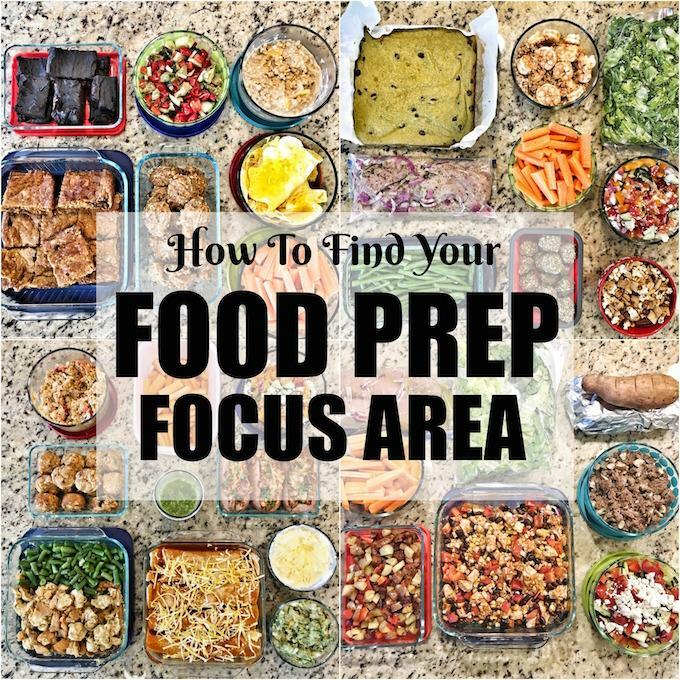 Learn how to find your food prep focus area. Are you ready to try meal prep but feel overwhelmed? 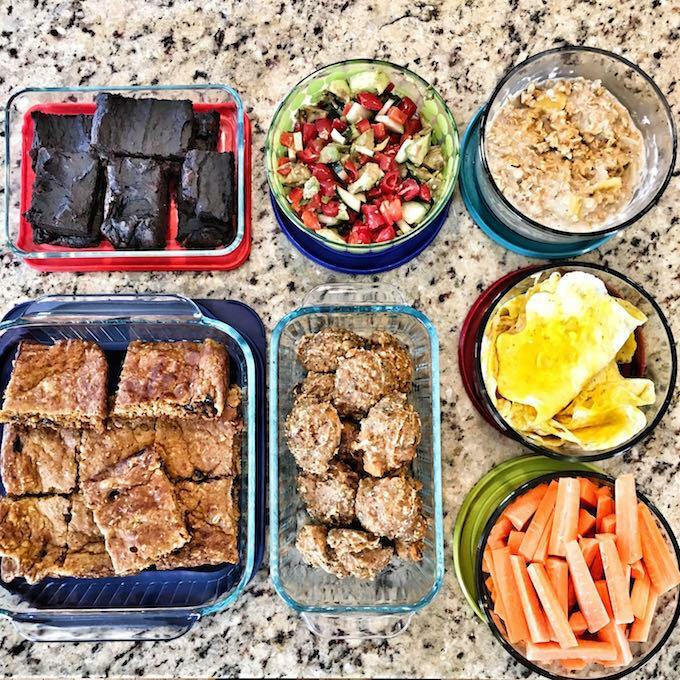 Use these tips to figure out how to focus your first few food prep sessions. By now you guys probably know that I’m a food prep fanatic. I love sharing my weekly prep sessions with you guys but I get a lot of questions from people who have heard about food prep and want to try it, but feel very overwhelmed and aren’t sure where to start. That’s what today’s post is all about. I want to teach you guys how to really zone in and get ready for a successful food prep session as a beginner. Let me preface this by saying that I never prep every single thing we’re going to eat for the entire week. I don’t think it’s necessary. I also don’t always use this “focus area” method anymore. I’ve had a lot of practice and it’s not hard for me to prep a wide variety of stuff in a short amount of time. I do keep a few things in mind though: I prefer small meals + snacks vs big meals. I have a toddler that often needs to eat ASAP to avoid a meltdown. There are weeks when we’re at the gym until 7pm multiple nights. So, depending on our schedule, some weeks I focus more on dinner than others and most weeks I always make breakfasts and snacks a priority. For the next few days, grab a notebook or your phone and make a note every time you find yourself eating something but wishing you had another option. You find yourself eating a bag of chips from the vending machine for a snack but you wish you had a protein bar, a hardboiled egg or some trail mix on hand. You’re eating dinner but don’t have any vegetables on your plate and wish you had a side salad. You need dinner in 20 minutes so you swing through the drive thru but wish you were eating at home. You eat a protein bar for breakfast but really wish you had a warm egg breakfast. You go out to lunch because you couldn’t find anything to pack the night before but you wish you had a healthy chicken wrap, some fruit, etc. After a few days, go back and review the list. Whatever meal/time of day has the most mentions is probably your biggest problem area and the one that you should choose to focus on in your first few food prep sessions. Once you’ve found your focus area, make a plan for your food prep session that revolves just around that one area. The goal is to help you feel lazer-focused while prepping and not overwhelmed…and get enough prepped so that you notice how helpful it is during the week and are motivated to try again the next weekend. Here are a couple hypothetical situations. Peel and chop some carrots to eat with hummus. Make a batch of trail mix. Make a batch of sweet potato bites. Make a batch of lemon energy balls. When it comes time to food prep, turn the oven on. Start the eggs on the stove. Make the batter for the sweet potato bites. Peel and chop the carrots. Stick the bites in the oven. While they’re cooking mix up your trail mix and portion it into baggies and make a batch of lemon energy balls in the food processor. That’s it! 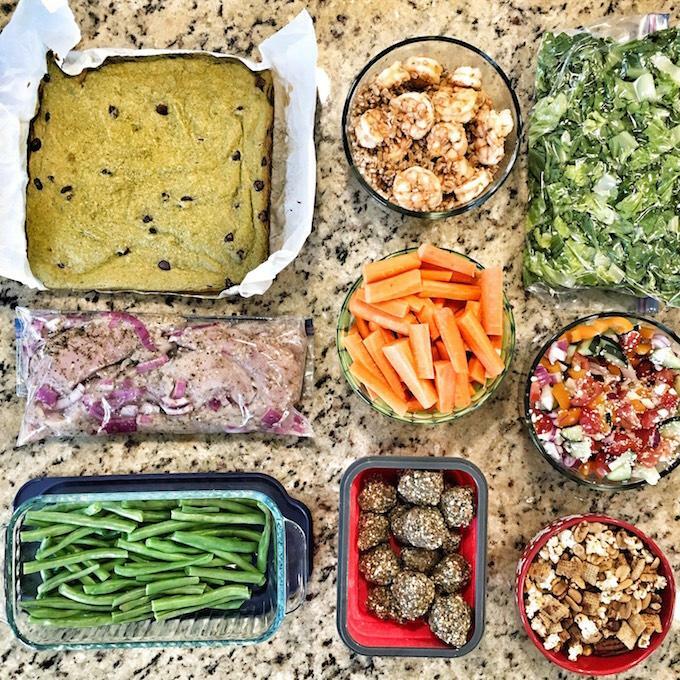 It’s your first food prep session so don’t overwhelm yourself by trying to do too much! For the upcoming week, you’ll now have a variety of snacks to choose from when you get hungry late morning or mid-afternoon. Take note of how you feel throughout the week having them on hand! It should inspire you to make time for food prep again next weekend! When you’re ready to prep, turn the oven on. Start a batch of hummus chicken. Prep the burgers. Stick them in the oven. While they’re baking, prep a few salads and make the pesto corn salad. Shred the chicken once it’s finished cooking. Now you have several quick lunch options to pack at night including a wrap made with the hummus chicken, a burger with a side salad and some corn, a salad in a jar. If you find that it didn’t take you a full hour or you have extra time the next weekend, you can prep stuff for lunches and then move on to adding a dinner or a breakfast option like waffles as a way to change things up in the morning. Also note that if you don’t have an instant pot you can make pulled chicken or pork in the crockpot or oven. It takes longer but doesn’t require any extra active work on your part. So there you have it! I hope some of you guys give this a try! Let me know if focusing in on one specific area to start is helpful for you! Look for a post next week with more details about how to plan your first food prep session once you’ve identified your focus area! 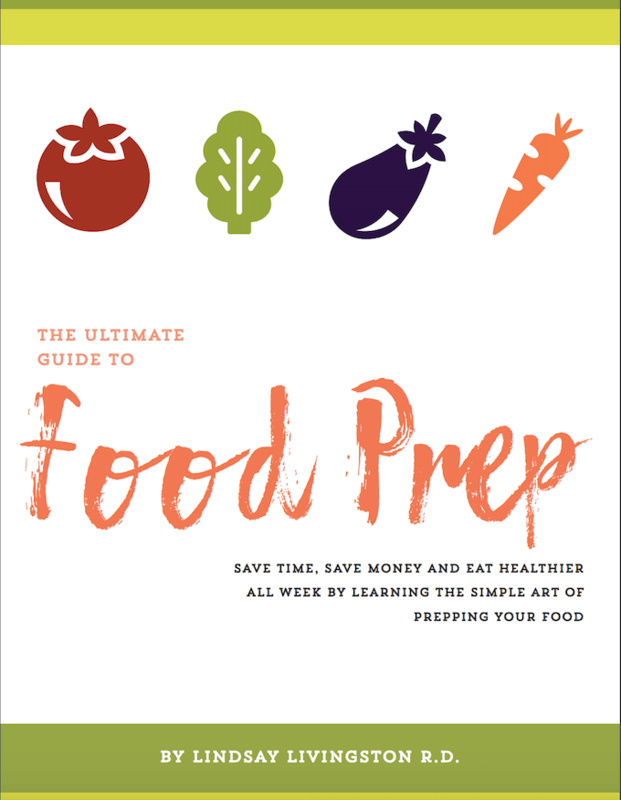 If you want more help right away, be sure to check out my Ultimate Guide To Food Prep ebook or check out my resources page for more food prep related posts! I love that meal prep is becoming such a sought after topic but it makes me so sad when clients and readers tell me they spent half their Sunday in the kitchen! I love this idea to focus on your trouble areas! This was great! It was a total “well duh” but also a great eye opener. 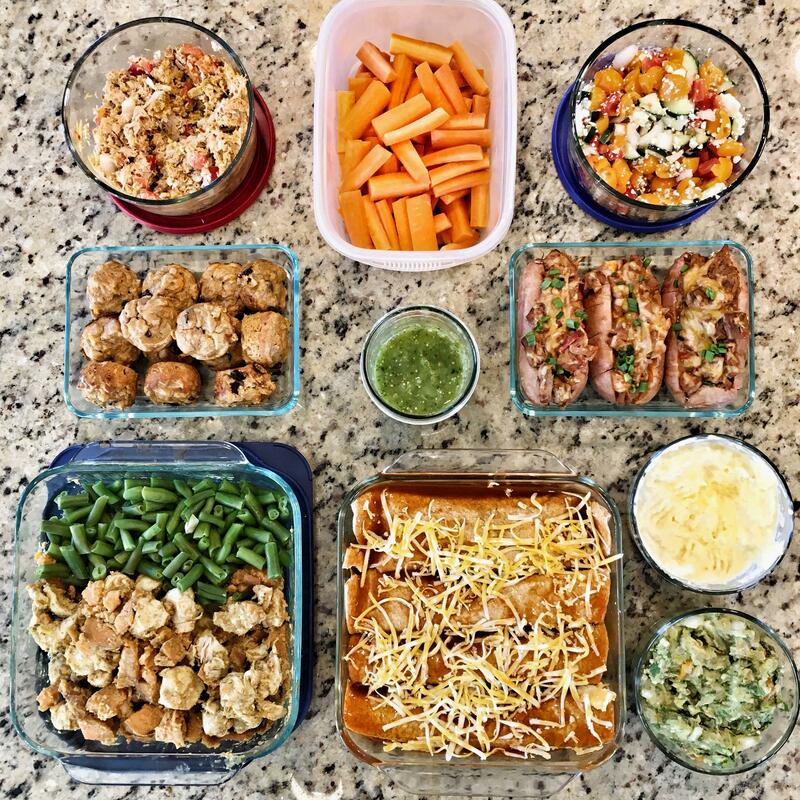 I don’t need to make all my dinners on Sunday if we have the time to cook them throughout the week, but those sneaky snack times and the protein gaps I have for lunches aren’t typically what I think to carve out time to prep. Thanks! You are so good!! This is perfect for beginners or anyone who needs help getting into the zone! I love this post! I find that when I’m doing a week’s worth of meal prep, it goes way, way better if I do a bit of planning before I even open the fridge or cupboard. This is excellent. I don’t do food prep per say but I cook in bulk and use my freezer like a boss to always have things handy. This is a really great post though and love all the hypothetical scenarios. I like your take on finding a specific meal to really focus your energy on.